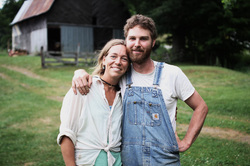 Our family farm has deep historical roots with compelling storytellers. We highlight the simple living of our ancestors, simple beliefs and folklore that explained the world around them. These down to earth beliefs unveil times past and provide a window into times not that long ago. Farm life has a beautiful way of defining moments of clarity by being grounded by salt of the earth wisdom. Sorry, not available for tour. 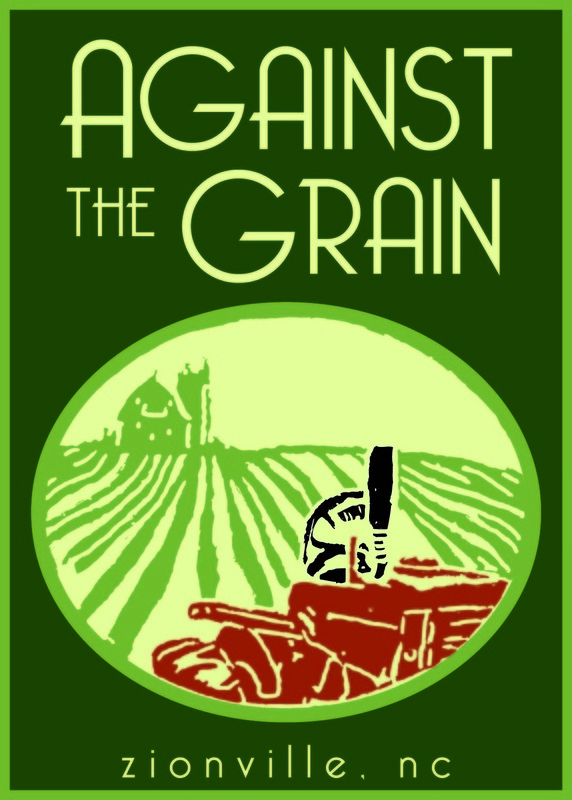 Against the Grain is a great place to see many facets of small-scale agriculture in practice. Visitors have the opportunity to visit bio-dynamic vegetable fields, a high tunnel and four caterpillar tunnels full of crops. 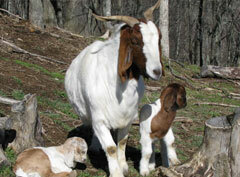 ATG is also home to pigs, beef cattle, broiler chickens and a herd of meat goats. Take a self-guided tour of the farm, chat with the farmers or sit by the creek and enjoy the shade. 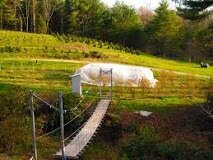 A diverse 8 acre farm, we specialize in Certified Organic vegetables, small fruit, shiitake mushrooms, and pastured pigs. The tour will include talking about what's growing in the fields, exploring our shiitake production area, discussing our pastured pork production, and checking out our high and low tunnels. 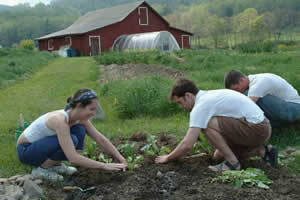 We are in our 9th year of production and are happy to answer any questions from new farmers and backyard gardeners. A shade tent will be set up for visitors and our produce stand will be open to purchase vegetables and pork! 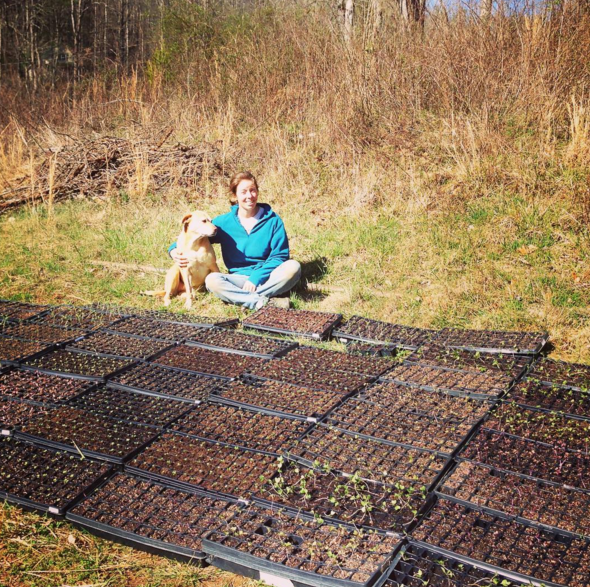 Named for wild Turk's Cap lilies that flourish here, The Lily Patch Farm is Watauga County's oldest organic farm. Guests can tour our seedling production greenhouse, visit the vegetables in the high tunnel, and walk "way down yonder in the Pawpaw patch". Be sure to meet our new weed­ eating crew: Nubian goats! Relax in the shade by the pond in our timber framed pavilion. Be sure to ask about our wedding and event venue rental! Products can be found at: Mostly on-­farm. Directions: (from the intersection of Hwy 421 and Hwy 105 Bypass, just north of Boone, Not the Hwy 105 extension) Travel 5 miles from the intersection, on Hwy 421, north towards TN. You will drive through the hamlet of Vilas. After traveling 5 miles on Hwy 421, turn left onto Walls Road. Travel 3/10th mile to the end. Turn right on Joe Shoemaker Rd. Travel about 1/2 mile. Turn left at the crest of the hill onto 1381 Joe Shoemaker Rd- our farm road. We finally have our own land! We now own a lot of pasture and woods with 800 ft. of Crab Orchard Creek and three robust springs from the mountain top. 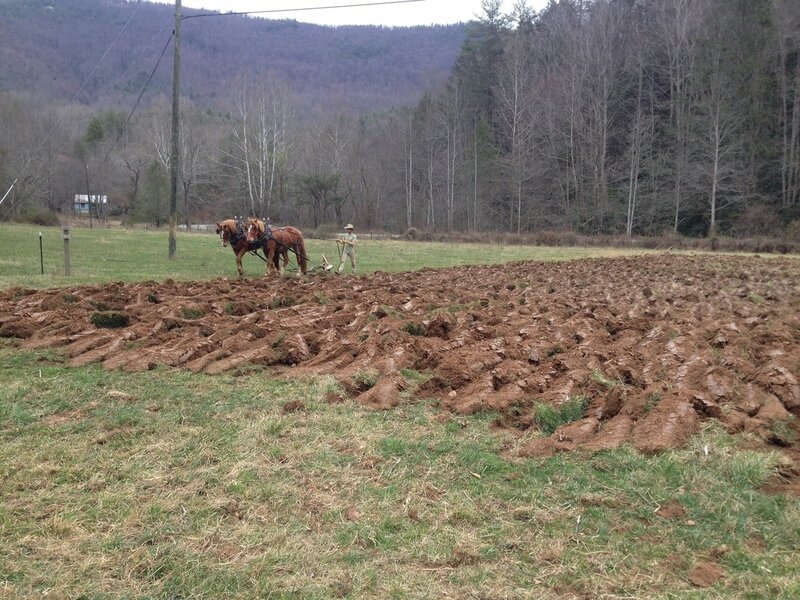 We will be tilling 2 acres of raw land for vegetables and putting up fences for goats, chickens, and pigs. We will also be planting blueberry bushes, berries, and apple trees. Directions: From the courthouse in Boone, travel down 421 (towards TN). Travel approximately 5.5 miles and turn right onto 321. Make a right onto Old 421 (appox. 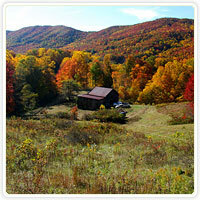 1 mile) after the Cove Creek Store. Take the first left onto George's Gap Rd. After 1/2 a mile make a left onto Farmer Brown Rd. Never Ending Farm Will be on top of the drive on the RIGHT. The old saying, "The outside of a horse is good for the inside of a man." is brought to life at Spirit Ride Therapeutic Riding Center. Learn how this unique alternative therapy for children with special needs is changing lives! Kids will enjoy the 'Eye Spy Trail' and Pony Rides, while everyone will have fun meeting the chickens, goats, cows and, of course...the therapists themselves: Buddy, Jax and Whoopdeedo! We will be offering guided tours to illustrate how the different animals (goats, chickens, cats, dogs, cows and ponies) play a role in a child's cognitive, neurological, physical and social development. For the children, an 'Eye Spy Trail' will be offered as well. Services available for purchase during tour: Pony Rides for the young and young at heart will be available during tour hours (weight restrictions apply for horse's safety). Rides are $10 each. Helmets provided. Visit our unique mountaintop alpaca farm and store and connect to what matters – yourself, your family, and a real farm experience. 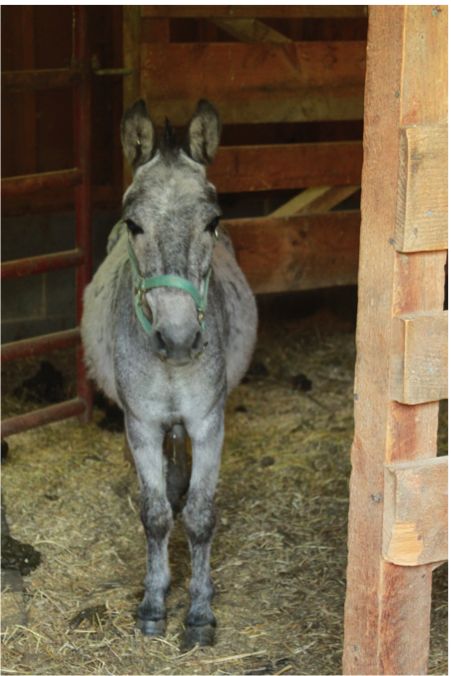 Get close and personal with the alpacas, donkeys, goats and other animals that work and play at Apple Hill Farm. Every animal has a specific job, and many have a story as well! 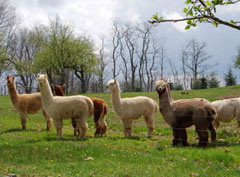 Apple Hill Farm is also home to the largest selection of alpaca products in the High Country of North Carolina. Daffodil Spring Farm is a small, regenerative farm that is dedicated to land stewardship and growing healthy food for our community. 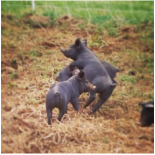 Daffodil Spring Farm raises pastured pigs that build our soil and lead to healthy, good food. The duroc/hampshire-cross pigs are regularly rotated where they can graze, root, and wallow. 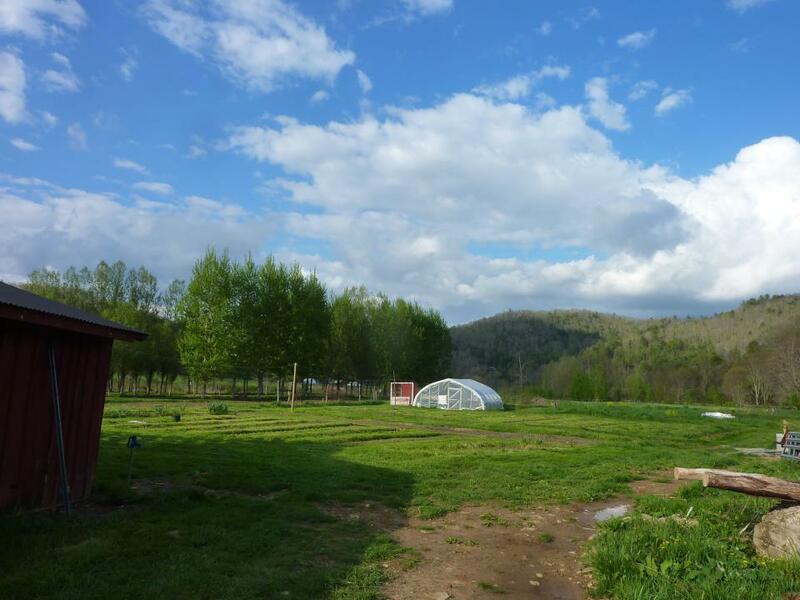 ​The FIG Farm is designed to provide beginning farmers with a relatively low-risk entry avenue for new producers by providing land, production and marketing infrastructure to help farmers establish lasting farm enterprises in the High Country. The Swinging bridge farm has produced Fraser Fir Christmas trees for 36 years. My wife and I also do U pick blueberries (400 bushes)and of course we have a 48 ft swinging bridge. Additionally,we have a Rennaissance Orangery where we grow orange, lemon, lime and grapefruit trees. The orangery has solar, hydro and geothermal features. 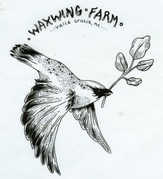 Our farm tour will include all of the above plus a short nature walk along our stream under a rhododendron bower. Products available for Purchase: We will have for sale, oranges trees, blueberry bushes and baby Christmas trees, all in pots. My book, Annals of the NC Jewish Christmas Tree Growers Assn. will be on sale. There should be Blueberries for U Pick and we will have bottles of cold water available. For those who bring a cooler and fishing pole, there will be fresh trout. 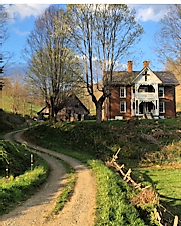 Full Moon Farm lives in the Elk Creek Valley of Triplett, just outside of Boone. Our goals are simple - grow delicious, healthy food, create a sustainable farming lifestyle and encourage generational and cultural exchange through nature + farming. We hope you visit - expect a walk through of our 3/4 acre produce garden, a working demonstration of our sawmill and a chance to see the horses pull some logs + cultivate the gardens. Directions: Head from Boone, NC towards Wilkesboro on 421 North. Take a right onto Old 421 South, it's the stoplight intersection near the Food Lion. Take a right onto Elk Creek Road, a hard-to-see sharp turn before Parkway Elementary School (the right turn will immediately pass underneath a stone bridge for the Blue Ridge Parkway). Roll down the curvy, steep Elk Creek Road until it flattens out - you'll pass the Triplett "waste station" / dump on your right. Pass Mount Ephriam Baptist Church on your left. Begin looking for Elk Lane Road which is a left turn. Turn onto Elk Lane - if you cross a bridge you've passed it! Then take a left onto Rhymer Branch Road and you've made it! We're the farm with three horses, a red-roofed barn and a camper. Oh, and a field full of food!